The file ECWolf v.1.3.2 is a modification for Wolfenstein 3D, a(n) action game. Download for free. 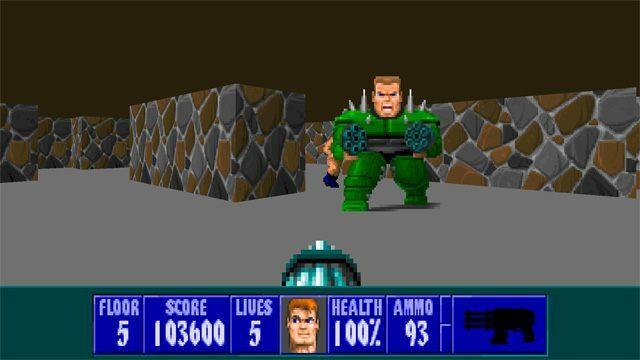 ECWolf is a mod for Wolfenstein 3D, created by Braden "Blzut3" Obrzut. ECWolf is an advanced source port for Wolfenstein 3D, Spear of Destiny, and Super 3D Noah's Ark based off of the Wolf4SDL code base. ECWolf pulls a substantial amount of code from ZDoom and aims to provide a wide array of mod editing capabilities without the need to modify the source code. Most importantly you will no longer need to replace entire data sets. With ECWolf you could for example add a weapon without needing to distribute every sprite in the game along with it. Mods will be neatly packaged into a single file just like they are for Doom. For players, ECWolf provides many useful features such as better control binding, support for wide screen resolutions, and unlimited save slots. ECWolf allows you to keep all of your game data in one directory as one binary plays all supported games. Support for even more Wolfenstein engine games is planned for the future! (I know you're all waiting for Blake Stone support.) In terms of accuracy to vanilla Wolf, it is about the same as the accuracy of ZDoom to vanilla Doom. One binary plays Wolfenstein 3D, Spear of Destiny, and Super 3D Noah's Ark. Super 3D Noah's Ark/Rise of the Traid/Mac Wolfenstein style automap. Widescreen and tall screen support with aspect ratio correction (Hor+/Vert+). Soft-moding (no need to deal with compilers)! Unrestricted map size with support for non-square maps. Support for high resolution textures and mixed definition. Support for additional image formats and archive formats.